Meet Mack! 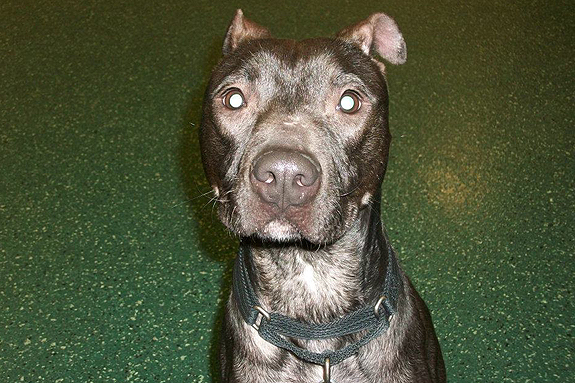 Mack is an absolutely adorable teeny, tiny pittie who is stuck in boarding. Under a year old, this sweet little guy adores everyone he meets. He’ll shower you with kisses, and his tail will thump if you just look in his direction. He’s great with kids and strangers, and thinks everyone is his new best friend! Mack loves cats, and even gives them affection. He’d do great in a home with children and cats. Mack lived with a cat before, and was given up by his owner when she found out she could not have dogs in her apartment. 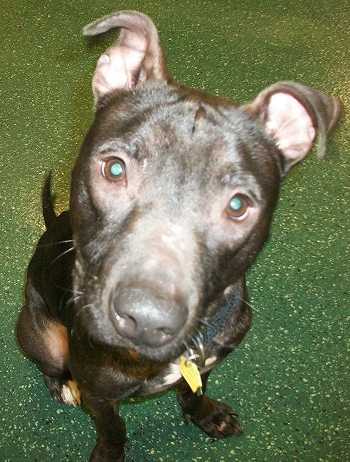 Mack has been good with other dogs when introduced slowly, but would do best in a home as the only dog – other animals, like cats, would be great. Mack has been stuck in boarding at a vet’s office since his owner gave him up in October, and he needs a foster or forever home soon. At a very thin 42 lbs., we’re trying to get him to gain some weight. Being at the kennel is stressful, so it’s hard to gain weight. You would never know from being around Mack though, because he is one of the happiest dogs you will ever meet. His eyes light up when people come around, and his tail thumps away in his cage. When he’s excited, he hops around like a bunny. That’s right-this little dog hops with joy! Mack learned to sit very quickly, and is eager to learn new things, especially when treats are involved! Mack is neutered and up to date on all of his shots. Once he’s out of the kennel, he’ll be able to gain weight. He just wants to be near people, and needs someone to cuddle up to and love. 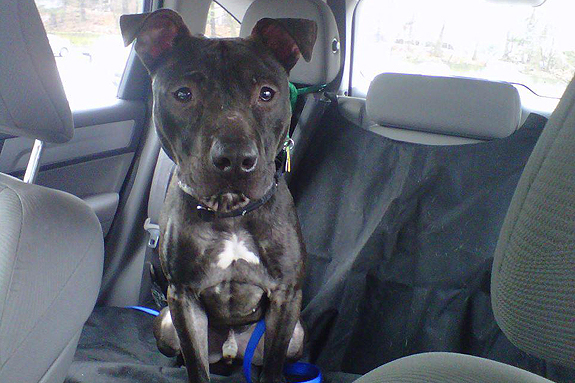 Please contact us if you can give Mack a foster or forever home in NY/NJ/CT area. 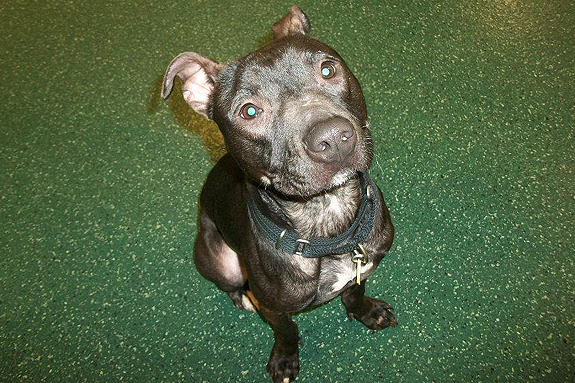 Mack is available for adoption through Saving Paws Rescue Inc., which is located in Port Chester, NY. Here is a link to Mack’s photos on Facebook. 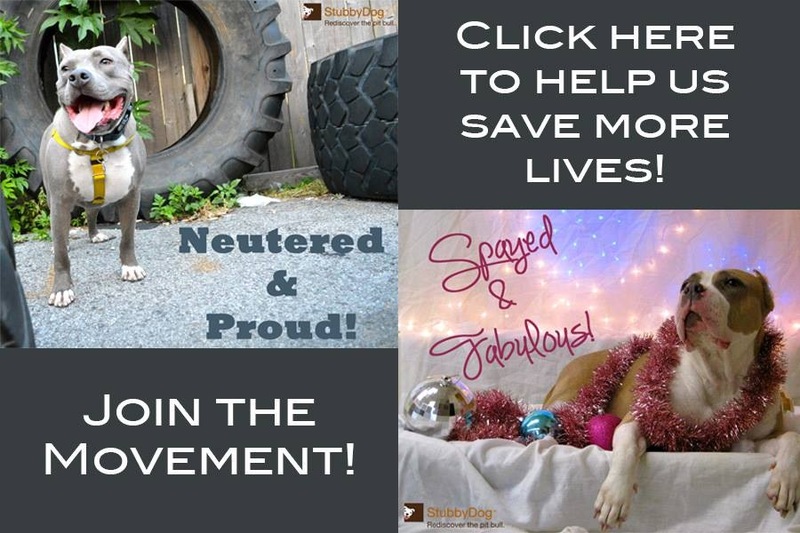 You can visit Saving Paws Rescue Inc. on Facebook or on Petfinder. You can email [email protected] for an application to foster or adopt. Here is a video of Mack being adorable.